PelicanHPC includes two MPI implementations: LAM/MPI and OpenMPI. When writing parallel programs in C or C++, make sure you include the mpi.h header file (#include <mpi.h>). To compile the programs, you need mpicc for C programs, mpic++ or mpiCC for C++ programs, and mpif77 for Fortran. Several MPI tutorials reside on the web . Professor José Luis at the University of Seville in Spain uses PelicanHPC to teach his parallel programming course. He recommends that new programmers try the examples available online from Peter Pacheco's book, Parallel Programming with MPI . See the OpenMPI website for additional documentation, including a very detailed FAQ . If you're just interested in learning parallel programming, PelicanHPC provides more than enough. But the main goal of the Live CD is to help you get a cluster up and running without much effort. The focus is on maintainability and ease of customization, which is why the releases do not include a lot of packages. Once you test the Live CD and think it'll work for you, you are encouraged to make your own versions via the Debian live-helper package and Pelican's make_pelican script. Also, you'll need a Debian or Ubuntu installation to produce the Live CD, which can be a minimal installation or even a virtual machine on a host with lots of RAM and a fast dual-core processor, which is what I use. So to roll out your own ISO or USB image, first install a recent Ubuntu or Debian release. I've used Lenny to create a customized PelicanHPC release. Next, grab the live_helper package from the distro's repository. Finally, grab the latest version of the make_pelican script (currently v1.8) from Pelican's download page . Open the script in your favorite text editor. The script is divided into various sections. After the initial comments, which include a brief changelog, the first section lists the packages that will be available on the ISO. Here is where you make the changes. Listing 2 shows a modified version of this section, in which I've commented out the binary blobs for networking, because I don't need this for my networks. I've also added AbiWord and the GROMACS package. Because these packages are fetched off your distribution's repositories, make sure you spell them as they appear there. GROMACS has several dependencies but you don't have to worry about adding them because they'll be fetched automatically. The next bit in the make_pelican script you have to tinker with is the architecture you want to build the ISO for and whether you want the ISO or USB image. The rest of the script deals with PelicanHPC internals and shouldn't be tweaked unless you know what you're doing. However, it's advisable to browse through the other sections to get a better idea about how PelicanHPC magically transforms ordinary machines into extraordinary computing clusters. Now sit back and enjoy, or if you have a slow connection and are running this on a slow computer, you better do your taxes because it'll take a while to fetch all the packages and compile them into a distro image. When it's done, you'll have a shiny new ISO named binary.iso under either the i386/ or the amd64/ directory, depending on the architecture you build for. Now transfer the USB image onto a USB stick, or test the ISO image with VirtualBox or with Qemu before burning it onto a disc. 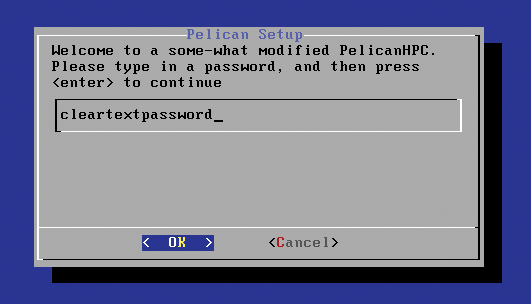 Figure 5 shows the password screen of a modified PelicanHPC Live CD. Figure 5: Tweak the make_pelican script to create your custom prompts. PelicanHPC is designed with ease of use in mind for anyone who wants to use their spare computers to do some serious number crunching. Building on the experience of ParallelKnoppix, the developer has put a lot of effort behind PelicanHPC's no-fuss approach to get your cluster off the ground in a jiffy. The customization abilities are the icing on the cake and make PelicanHPC an ideal platform for building your own custom cluster environment. Mayank Sharma has written for various Linux publications, including Linux.com, IBMdeveloperWorks, and Linux Format, and has published two books through Packt on administering Elgg and Openfire. Occasionally he teaches FLOSS technologies. You can reach him via: http://http://www.geekybodhi.net.